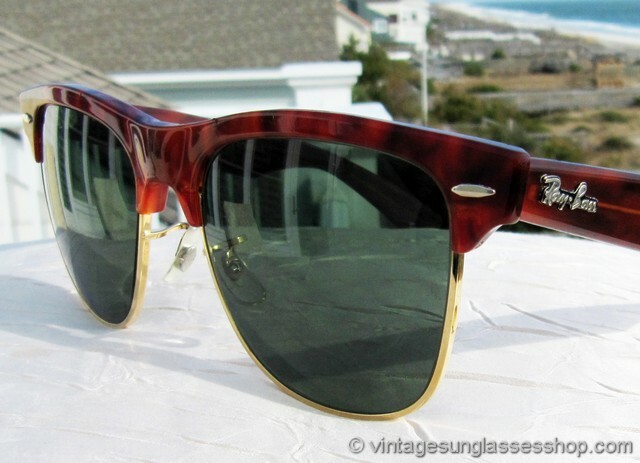 1 Vintage Ray-Ban W0544 Wayfarer Max sunglasses are one of the most popular styles of all time, a design that retains the thick, distinctive Wayfarer ear stems but adds a tortoise shell top accent and gold rim to the front frame that forms the perimeter for the bottom half of the lenses. 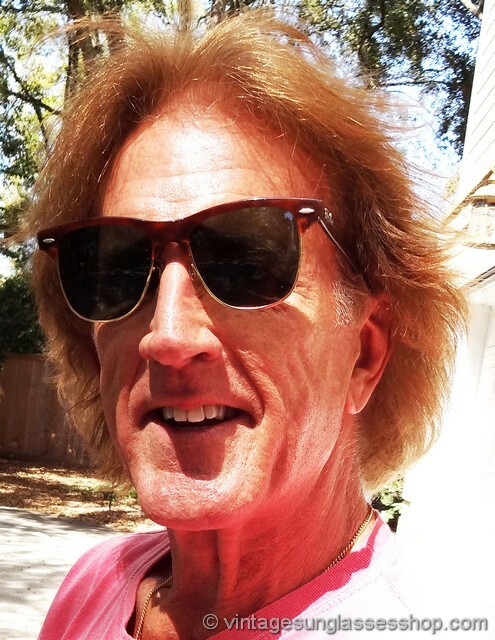 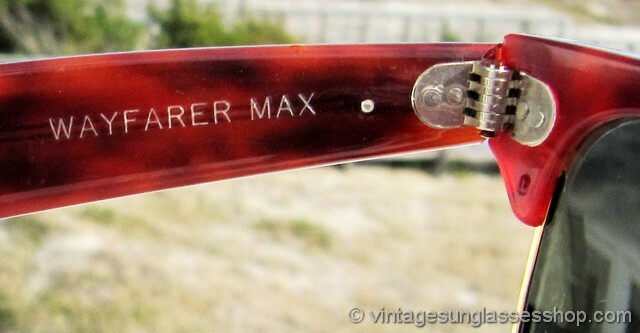 Vintage Ray-Ban Wayfarer Max sunglasses are frequently seen in celebrity sightings, some of which have been purchased right here at the Vintage Sunglasses Shop but we're sworn to secrecy. 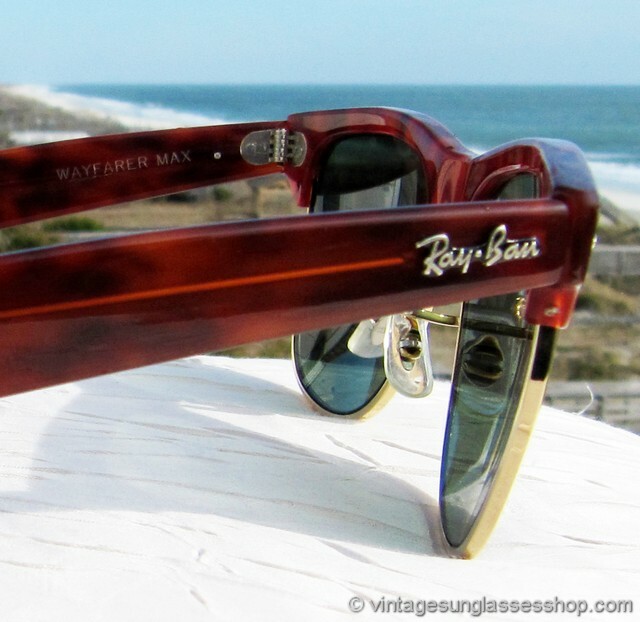 The unisex Ray-Ban Wayfarer Max frame measures approximately 5.5" temple to temple, and the Bausch & Lomb G-15 lenses measure approximately 2.0" x 1.875" at the widest points with both lenses are laser etched BL near the hinges. 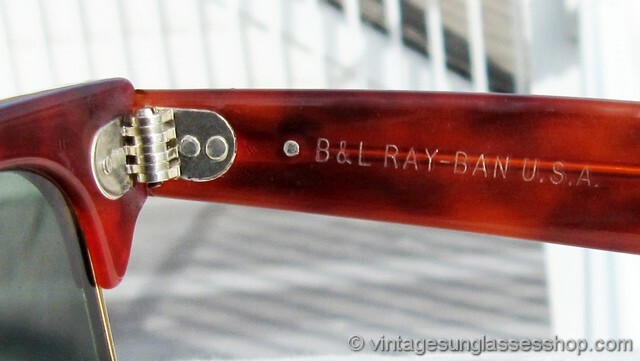 You'll find the Ray-Ban logo in raised metal relief on the exterior of both tortoise shell ear stems, and the inside of one stem is impressed B&L Ray-Ban USA while the inside of the other stem is impressed Wayfarer Max and on some production one ear pad is impressed W0544 UVAS, part of a Malibu, California beachfront estate consignment exclusive to the Vintage Sunglasses Shop. 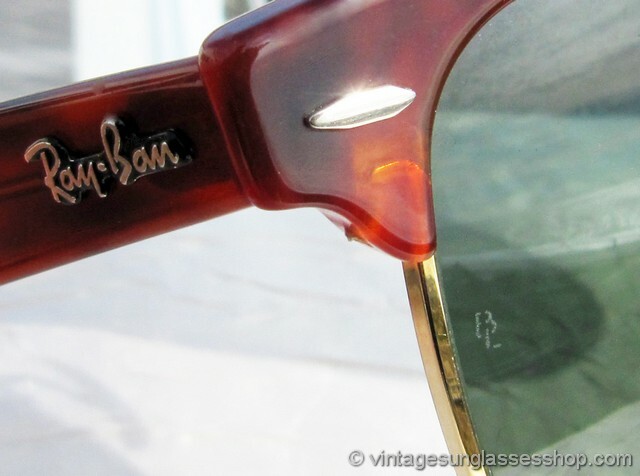 2 Step up another level beyond our already unequaled vintage condition standards with new old stock Ray-Ban W0544 Wayfarer Max sunglasses in mint, unworn condition. 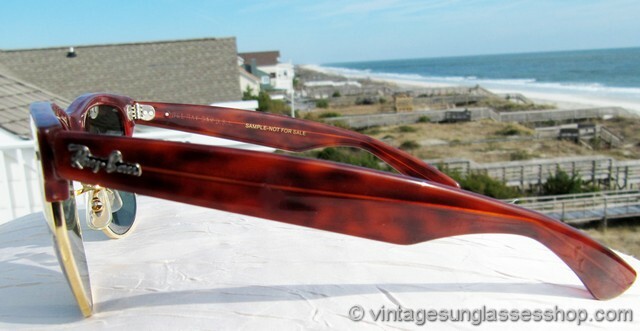 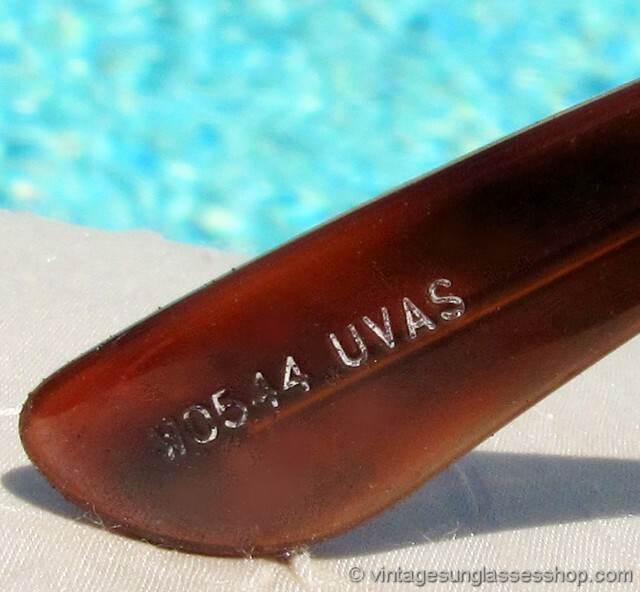 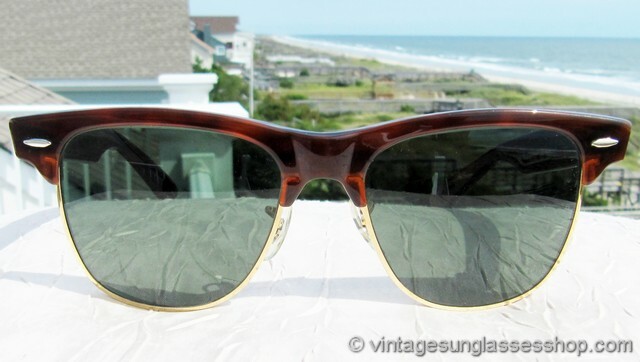 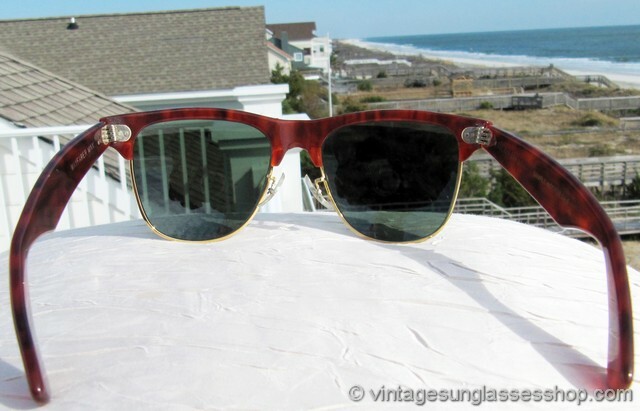 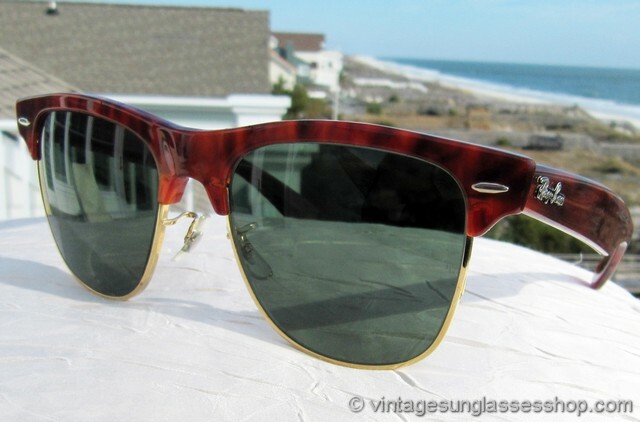 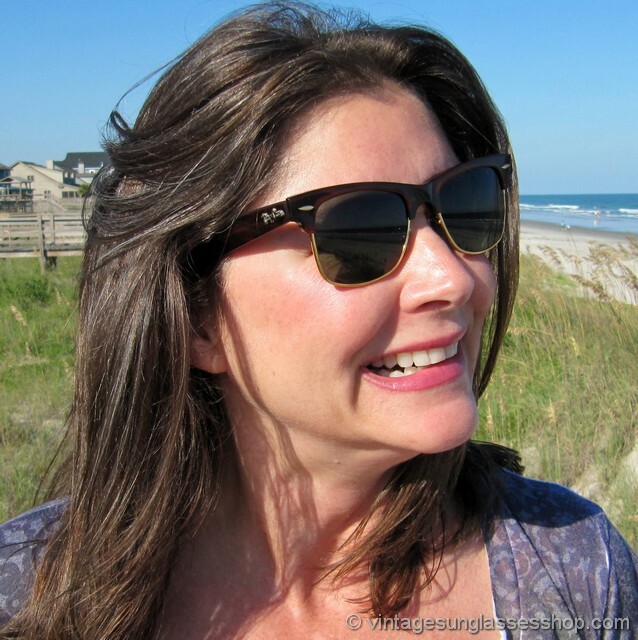 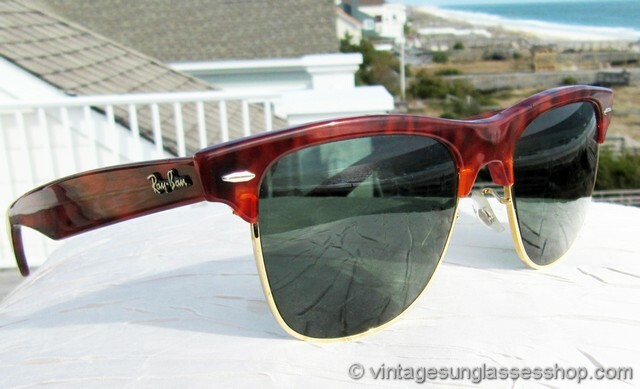 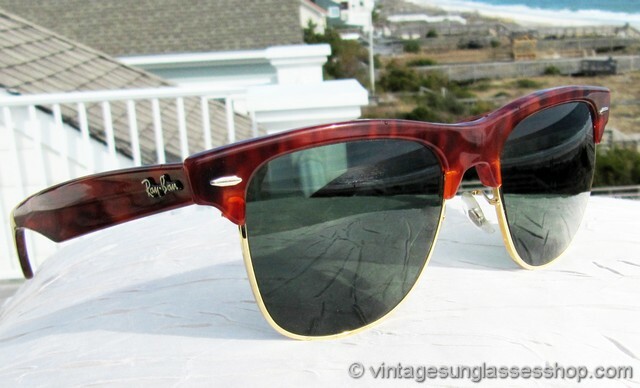 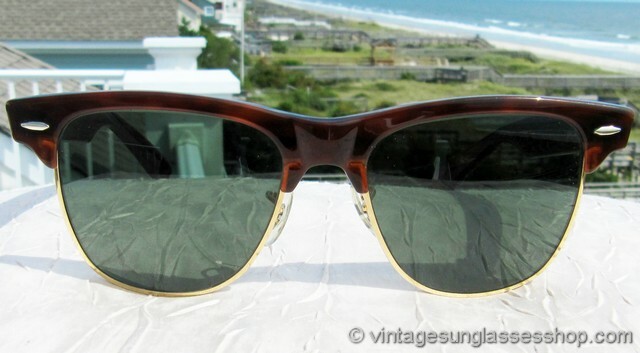 See our entire selection of vintage B&L Ray-Ban Wayfarer Max sunglasses here!